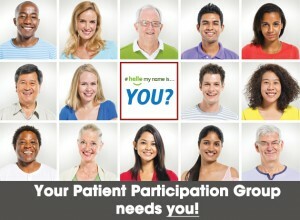 On Thursday 12th May 2016 at 6.00pm, we will be holding a Patient Participation Group meeting – all patients are welcome and encouraged to attend. The purpose of this meeting is to re-establish a regular patient group that can contribute by way of representing the patients at Thamesmead Health Centre, in matters that can help shape the care we deliver and to help us gather feedback, experiences and opinions, as well as to encourage health promotion and self care to our patient population. You do not need to register to attend this meeting, though our PPG meetings are open to Thamesmead Health Centre registered patients only. Please speak to our Practice Manager if you have any queries, concerns or special requirements. We would like to advise you of changes to our Urgent Care Centre, and what this means for you. Greenwich Clinical Commissioning Group have been planning a redesign to urgent care services in Greenwich, and as part of this redesign they have decided to transform the Urgent Care Centre at Thamesmead Health Centre to a Walk-in Centre, as it was previously. From Sunday 1st May 2016, the service will return to a Walk-in Centre and the new requirements will mean that we will not have a Specialist Nurse, whilst for Thamesmead Health Centre registered patients, there will be a Practice Nurse. In terms of what this means for you, there will be little change to your experience at the Walk-in Centre except for those services that a specialist nurse would usually deliver (such as suturing), and Thamesmead Health Centre patients will continue to be able to access the Walk-in Centre outside of surgery opening times. You can learn more about what we can and cannot treat at the Walk-in Centre on our dedicated Walk-in Centre website. Call 111 – Unsure? Confused? Need help?